Qt’s (https://qt.io) partnership with Toradex (https://toradex.com) makes the deployment of Qt extremely easy, allowing deployment to a device from day one. The integration is realized with the Toradex Easy Installer (https://www.toradex.com/tools-libraries/toradex-easy-installer). KDAB (https://www.kdab.com/) shows that a Qt Touch UI can run smoothly even on hardware without a GPU, in this case a Toradex Colibri System on Module featuring a NXP i.MX 6ULL. Qt is a very popular C++ Framework for embedded devices, talking about the history of Qt and Qtopia an old application platform for phones and handhelds such as the Archos PMA430 which I filmed at https://www.youtube.com/watch?v=qoBHeXnAVhY Qt 3D Studio is shown on a Toradex SoM with the high end NXP i.MX8 QuadMax. In the booth walk with Santtu, you can see demos such as Qt on microcontrollers and get some insight into the new developer experience. In the KDAB area, you will see KUEAS a tool which simplifies the workflow for 3D content and GammaRay for debugging. KDAB is a partner of Qt and Toradex and can help with application development. Toradex shows their deep learning inference solutions at Embedded World 2019, using power-efficient, Arm-based System on Modules, as machine learning and deep learning using neural networks progress is accelerating with successful new applications in computer vision for the embedded world. Toradex simplifies the integration of these technologies into products with its System on Modules, training deep learning models on high-performance computers with frameworks like TensorFlow, with optimizations needed to improve performance on low-power embedded Linux devices such as the ones Toradex partners with Au-Zone, Xnor.ai and Antmicro and others to bring to the embedded market. Implementing these dedicated neural network accelerators can boost the performance of embedded devices while keeping power consumption low, as shown in Toradex’s solutions with Intel Movidius Myriad and Gryfalcon Lightspeeur. Toradex partners with Allied Vision to showcase the brand-new Alvium industrial MIPI CSI-2 camera as a crucial component in the pasta detection demo which uses an Apalis System on Module featuring the NXP i.MX 8 QuadMax SoC with Cortex-A72, Cortex-A53 and dual OpenCL-capable GPU. To learn more about the demo, see CNX-Software's blog post. A real-world application example of deep learning is Manta, a camera-based drowning detection system from Coral Detection Systems which is solar-powered, and the video analytics are done on a Toradex Apalis module featuring a Nvidia TK1 SoC with a CUDA-enabled GPU. If a person is at risk of drowning, the system can alert its user acoustically or via smartphone. At Linaro Connect Vancouver 2018, Foundries.io and Toradex discuss Linux microPlatform, what microPlatform is and how it helps Toradex to build their next generation Software Platform. Linux microPlatform is an open source, minimal, secure, updatable Operating System based on OpenEmbedded / Yocto Project. Toradex ports the microPlatform to its Arm-based System on Modules and it uses it as the basis for its future Software Planform called Torizon. Linux microPlatform modularized the embedded software stack utilizing Docker Containers, and so it provides a robust and simple to update platform. It includes a secure Uptane-compliant over-the-air update solution using OSTree. Founderies.io provides continuous updates to Linux microPlatform, as they believe the latest software is the most secure software. Toradex also elaborates on its plans to simplify developers’ lives with its Torizon platform leveraging Linux microPlatforms, such as simplifying application development, enabling a modern DevOps workflow and easing migration from Windows-based systems. In addition, Toradex is also showing their soon to be available Toradex Colibri iMX8X SoM, based on NXP’s i.MX 8X processor. With 2-4x Arm Cortex-A35 cores and 1x Cortex-M4 core, the SoM is ideal for industrial automation, HMI, robotics, building applications and healthcare. The Colibri iMX8X also contains on-board dual-band 802.11ac 2x2 MU-MIMO Wi-Fi and is Bluetooth 5 ready. Toradex also showcases some of their other demos such as a Deep Learning demo featuring its Toradex Apalis TK1 SoM in collaboration with its partner Vertex.AI, the demo highlights Vertex.AI’s Vision deep learning and object detection software, and is a complete end-to-end deep learning demo, showcasing pasta detection. Additionally, Toradex has a demo in collaboration with its partner, Roboception, which integrates Toradex’s Apalis TK1 SoM for high-performance onboard processing, the demo has onboard SLAM for indoor and outdoor navigation, accurate visual-intertial motion estimation, and standard interfaces for an intuitive WEB-GUI. Toradex also has a range of demos highlighting its Toradex partner ecosystem. From CODESYS’ real-time SoftPLC with EtherCAT, Crank’s low- and high-end UI, DiSTI’s safety focused HMI, Green Hills’ INTEGRITY RTOS on Colibri iMX6, Antmicro’s Android on Vision Kit, Acontis’ optimized EtherCAT, TES’ 3D Surround View/Guiliani, Mender.io’s over-the-air updates, Christmann’s Apalis computer cluster, Gumstix’s voice control carrier board, MVTec’s HPeek and more. To stay up-to-date with news from Toradex, you can sign up to their newsletter here. At the Microsoft booth, Toradex demonstrated its multiplatform system connected to the Microsoft Azure IoT Hub – the Cloud Parking demo. Toradex System on Modules (SoMs) were employed in the access control, license plate recognition and the payment system, the communication between them made only through the internet, using only the Azure services. Linux, Windows 10 IoT Core, and Windows Embedded Compact are used as Operating Systems on the modules. Additionally, an interesting Toradex showcase included their new Heterogeneous Multicore Low Power demo featuring the Colibri iMX7D based on the NXP i.MX 7 Dual Core SoC. Toradex shows off Rimac Concept One at the Qt booth at Embedded World 2017. RIMAC Automobili Concept One is an ultra-fast electric super car with a top-speed of 365km/h, a 0-60mph acceleration of only 2,5 seconds, 1224HP, 1600Nm Torque. RIMAC chose Qt and Toradex as they provided a true ‘out-of-box’ experience to create one of the most advanced In-Vehicle Infotainment (IVI) systems and instrument clusters on the market, from scratch. 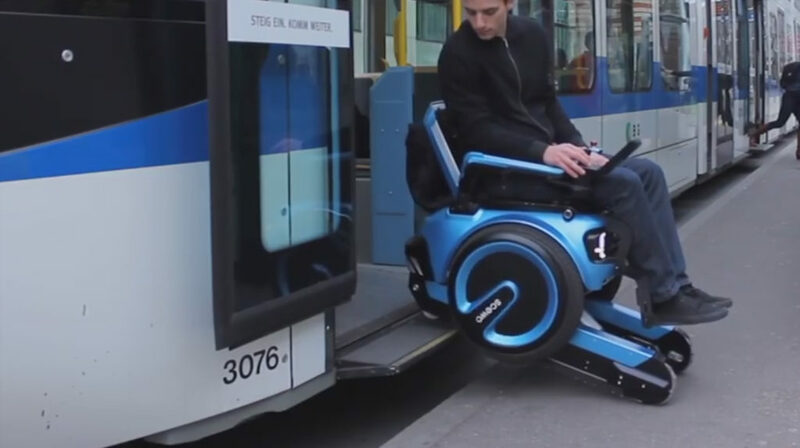 The car uses several Apalis System on Modules throughout the car. This video also talks about Toradex's Heterogeneous Multicore Low Power and Fast Boot. 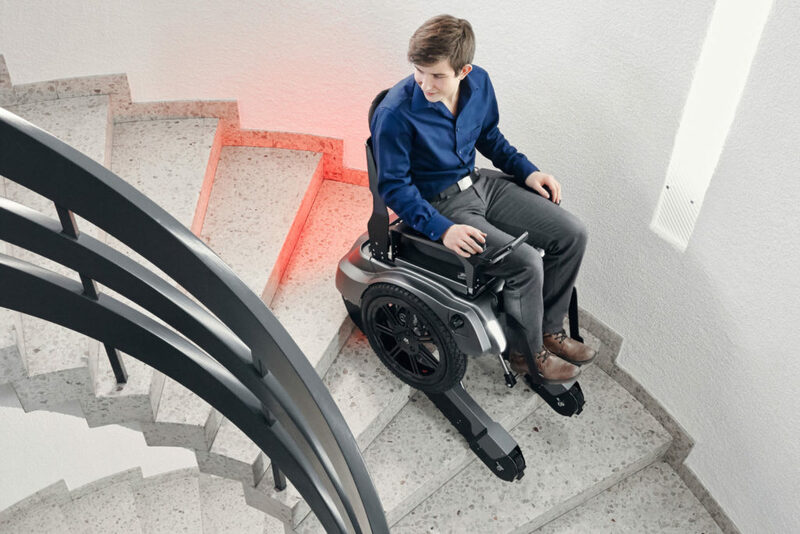 SCEWO is a stairclimbing wheelchair equipped with a Toradex Apalis iMX6 SoM - born from a master’s degree thesis from Zurich University (ETH), which demonstrates what can be done using Toradex Computer on Modules (CoMs)/System on Modules(SoMs) in safety-critical applications. Other engaging demos included TAQ, the balancing robot, featuring Toradex’s Colibri iMX7 SoM with NXP i.MX 7 processor, a rover using the Apalis TK1 SoM with the NVIDIA TK1 to recognize street signs, and many more at Toradex’s booth at Embedded World 2017. Toradex also mentioned its launch of two new SoMs based on NXP i.MX 8QuadMax and NXP i.MX 6ULL: Apalis iMX8 and Colibri iMX6ULL respectively. The Colibri iMX6ULL offers a low-cost and power efficient platform, along with integrated Wi-Fi and Bluetooth, targeting the emerging IoT and connected market; and the Apalis iMX8 offers high-performance and powerful graphics for Computer Vision applications. Diamond Systems, a global supplier of compact, rugged, I/O-rich embedded computing solutions for real-world applications in a broad range of markets, unveiled its EAGLE family of compact, rugged ARM single-board computers and carrier boards designed to work with the Toradex Apalis family of ARM computer-on-modules (COMs), see my Toradex at ARM Techcon video here. The product line is composed of two models, the full-size, full-featured Eagle and its smaller sized, low-cost Eaglet. For greatest convenience, customers may purchase a fully configured off the shelf solution from Diamond, including a select ARM module and heat sink installed, or they may purchase the baseboard and ARM module separately for greater configuration flexibility and lower unit cost. Development Kits, including the fully configured SBC, pre-configured Linux OS on a microSD card, and a full cable kit, are available from Diamond Systems. Key highlights of the Eagle/Eaglet family are long product lifetime, configuration flexibility, and a wide range of I/O. You can read the press release and access links to EAGLE product web pages, datasheets, photos here. Since 1989, Silicon Valley-based Diamond Systems Corporation has provided compact, rugged, board- and system-level real world embedded computing solutions to companies in a broad range of markets, including transportation, energy, aerospace, defense, manufacturing, medical and research. The company is renowned as an innovator of embedded I/O standards and technologies; it was an early adopter of PC/104 module technology, originated the FeaturePak I/O module and RSODIMM rugged memory module standards, and holds a patent for a unique analog I/O autocalibration technique. Diamond's extensive product line includes compact, highly integrated single board computers (SBCs); an extensive line of expansion modules for analog and digital I/O, wired and wireless communications including multiprotocol serial ports and Ethernet switches, GPS, solid-state disk, and power supply functions; and complete, rugged, system-level solutions.